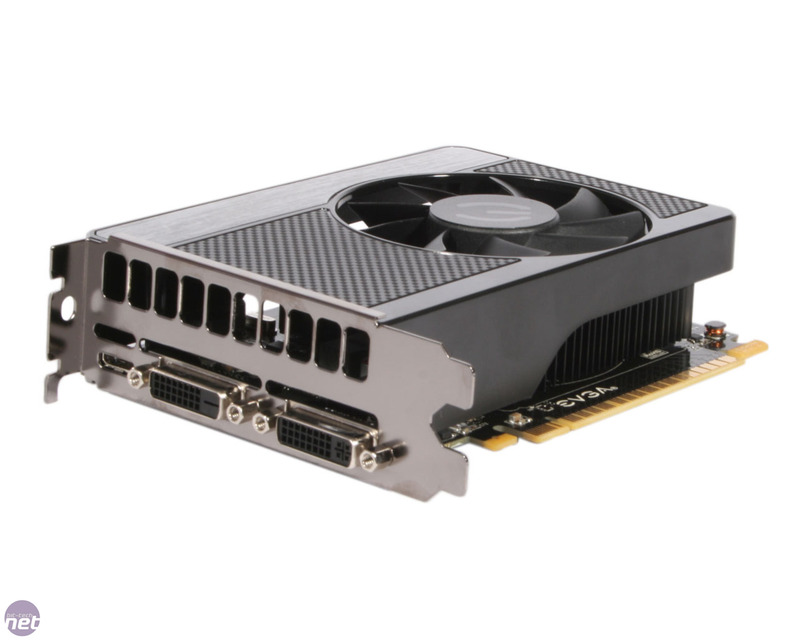 The recent release of the GTX 660 2GB and GTX 650 1GB saw Nvidia finally release its Kepler based cards for the mid and lower ranges of the market. We found the GTX 660 2GB to be very competitively positioned, with its price and performance both highly competitive against the HD 7870 2GB and HD 7850 2GB. Sadly, though, the news wasn't so good for the GTX 650 1GB, which saw its performance failing to match that of the equally priced HD 7770 1GB. With the GTX 660 2GB hitting retailers at £180, and the GTX 650 1GB at £90, this still left a sizeable chunk of the market left uncovered for Nvidia. Enter the GTX 650 Ti 1GB, which finally completes Nvidia's Kepler lineup, and is set to retail for around £120, at least for reference cards. 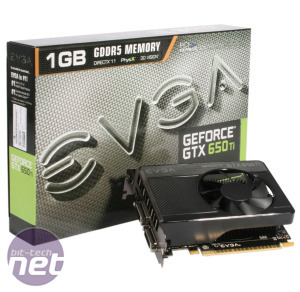 Its price puts it closer to the GTX 650 1GB than the GTX 660 2GB, but also means that it slots in right between the HD 7770 1GB and the HD 7850 2GB. 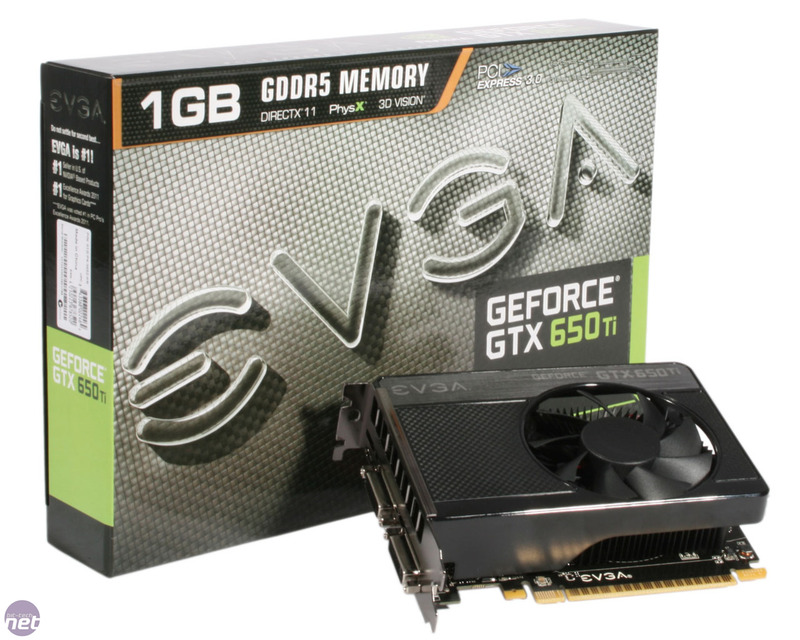 Unfortunately, we've not been able to get our hands on a reference GTX 650 Ti 1GB in for testing. 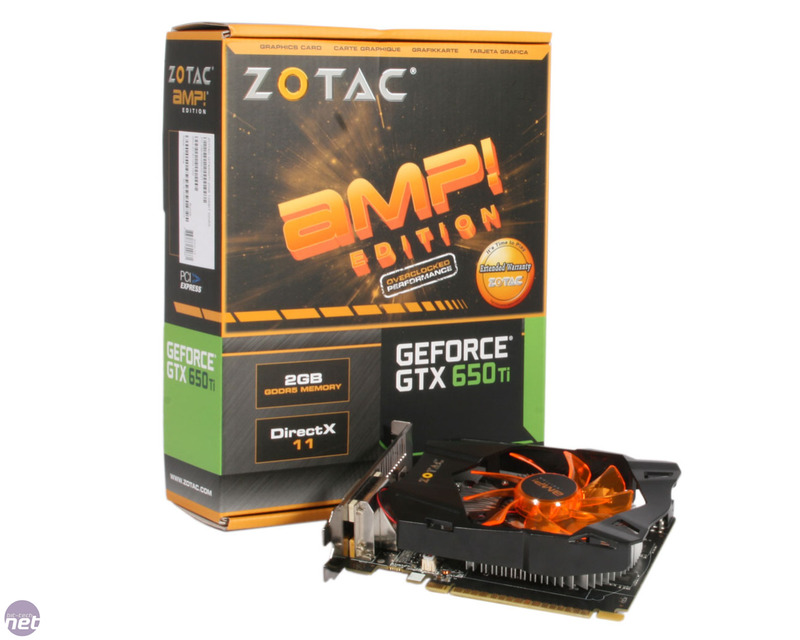 Instead, we'll be looking at EVGA's SSC edition of the card, as well as Zotac's amp! Edition, which both feature factory overclocks and are detailed on their respective pages. Due to GPU limitations, underclocking the cards back to stock frequencies is not possible just yet, so while we can supply a run-down of its specifications, for now we're unable to provide benchmarks for the GTX 650 Ti 1GB at it's fairly restrained stock frequencies. Despite being closer in name and price to the GTX 650 1GB, the GTX 650 Ti 1GB is actually based on the same GPU as the GTX 660 2GB, GK106. This is a 28nm Kepler GPU, and naturally has been slightly cut down from its form in the GTX 660 2GB for its implementation in the GTX 650 Ti 1GB, although the transistor count of 2.54 billion remains the same. The GPU clock has been reduced from the GTX 660's 980MHz to 925MHz, which is fairly low, especially given that Nvidia's boost technology is missing from the GTX 650 Ti 1GB, meaning that manual overclocking is the only way you'll be able to increase this. As standard, the card ships with 1GB of GDDR5 memory clocked at 1.35GHz (5.4GHz effective), although there is support for 2GB of memory should board partners wish to include it. The GTX 650 Ti 1GB actually ships with two slightly different GPUs as it features either two or three graphics processing clusters (GPCs). This is because the GTX 650 Ti 1GB is essentially a GTX 660 with one of its streaming-multiprocessors (SMs) disabled. So you'll either have three GPCs sub-divided into one, one and two SMs, or two GPCs with two SMs each. With each SM housing 192 stream processors and 16 texture units, the GTX 650 Ti 1GB has a total of 768 stream processors and 64 texture units, which is double the count of the GTX 650 1GB. Four SMs also equates to four of Nvidia's polymorph engines per chip, so the GTX 650 Ti has a total of four tesselators. 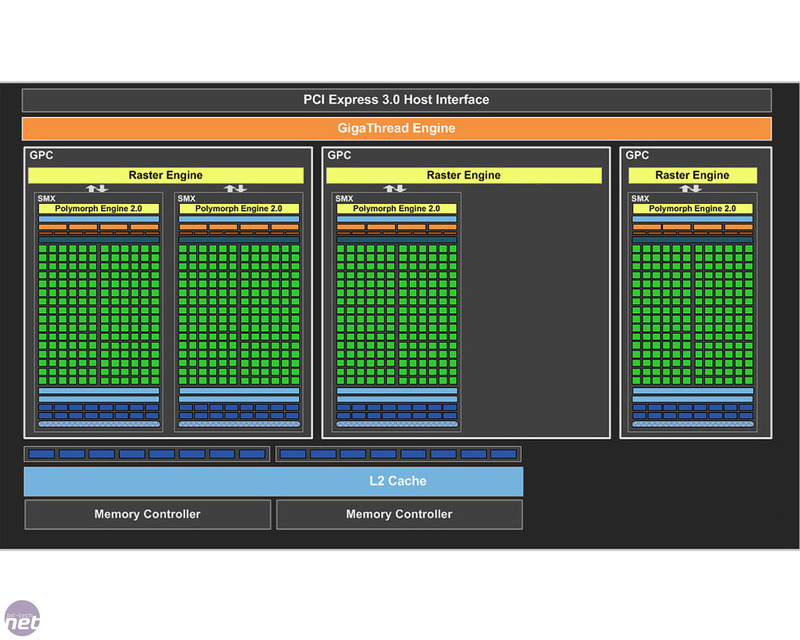 With a raster engine assigned to each GPC, some cards will feature three raster engines, and some two, although Nvidia ensures us that performance is uniform across the range since it is limited by the number of SMs rather than the number of GPCs. 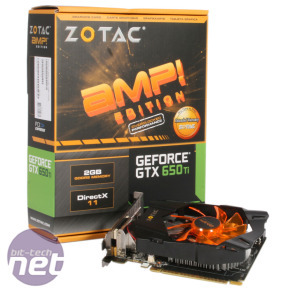 Memory wise, the difference between the GTX 650 Ti 1GB and the GTX 660 2GB is quite pronounced. The third 64-bit memory controller has been disabled, leaving the GTX 650 Ti 1GBwith just two, and consequently a 128-bit memory interface and 16 ROPs. With the memory clock of 5.4GHz effective then, the GTX 650 Ti 1GB has a total memory bandwidth of 86.4GB/s – much less than the 144GB/s of the GTX 660 2GB and only marginally more than the GTX 650's 80GB/s. 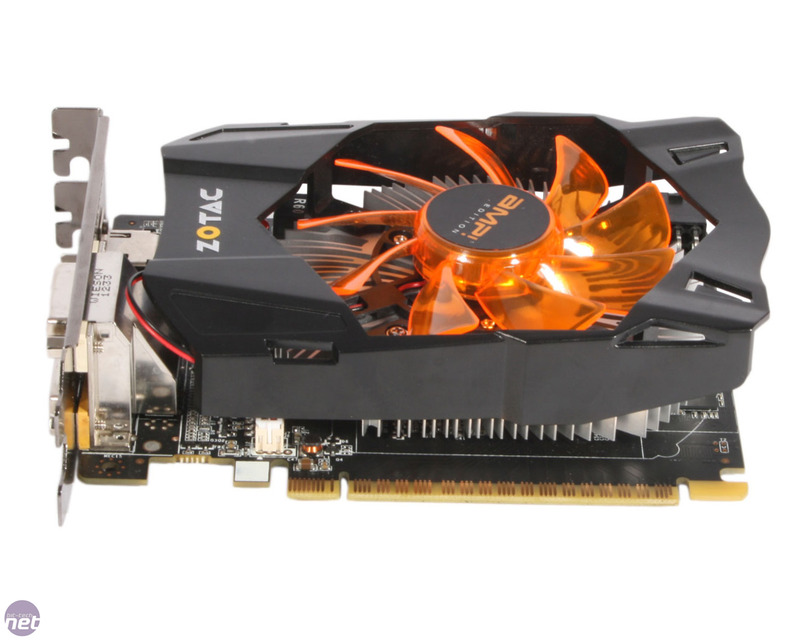 The reference GTX 650 Ti 1GB PCB measures 146mm in length, and Nvidia specifies that the card has a dual slot form factor, a TDP of 110W and requires a single 6-pin PCI-E connection to run. The standard set of rear connections includes two dual-link DVIs and a single mini-HDMI for three-screen support out of the box, although four simultaneous screens are supported by the card, so board partners are able to add a fourth connection should they wish. Just days after AMD's HD 7790 1GB launch, Nvidia fires back with its own new mid-range card. AMD today unveils its new mid-range GPU, the HD 7790 1GB, and we've got it benchmarked.